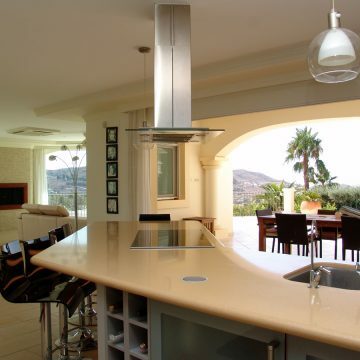 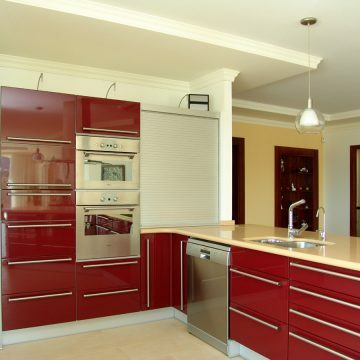 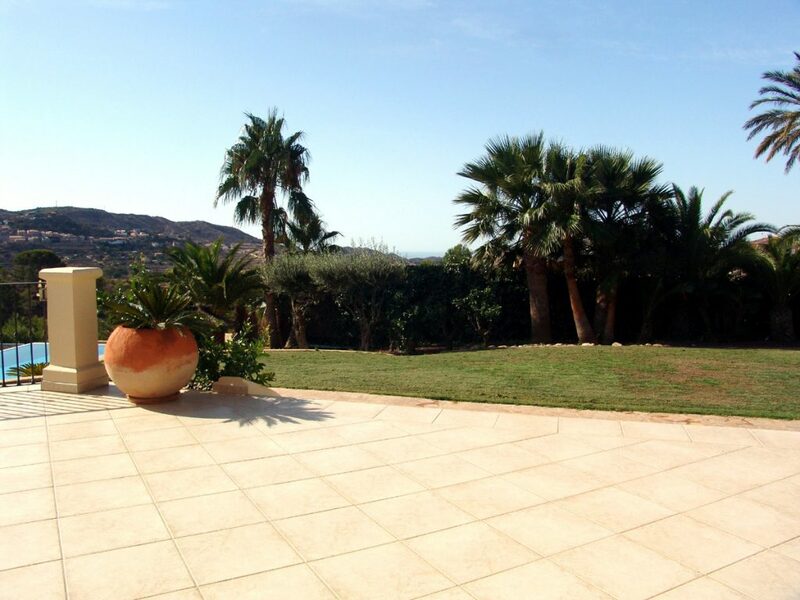 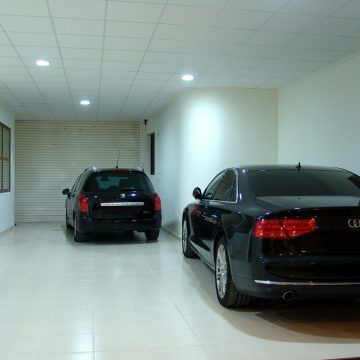 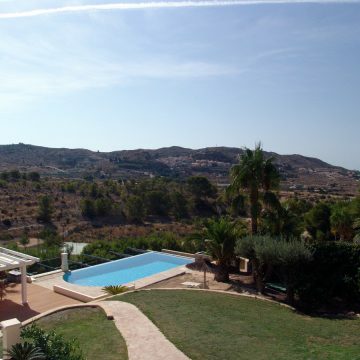 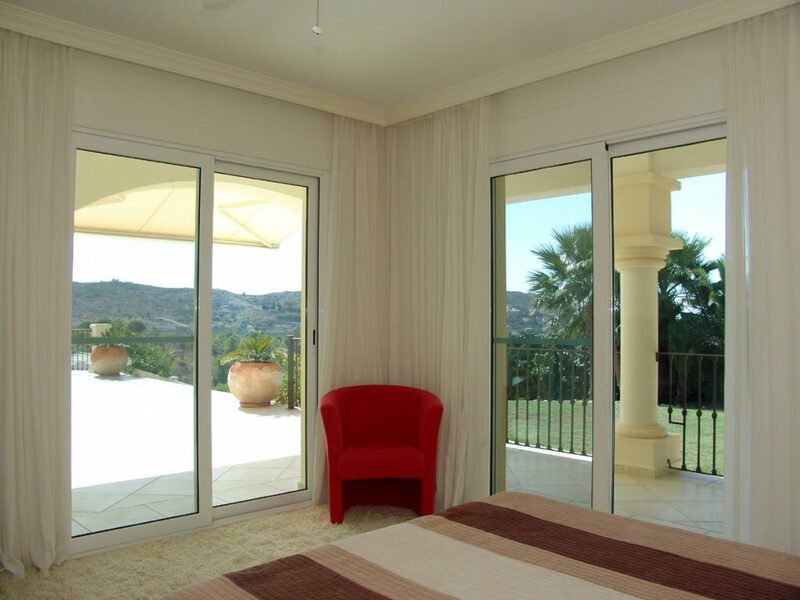 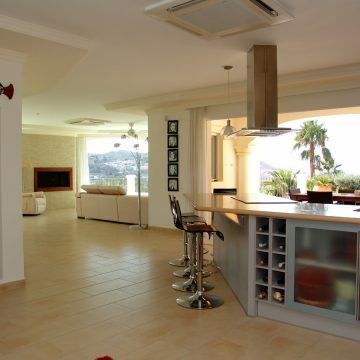 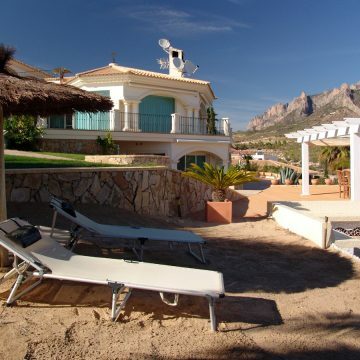 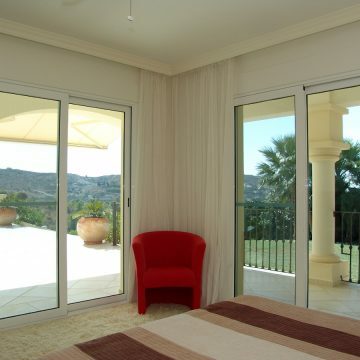 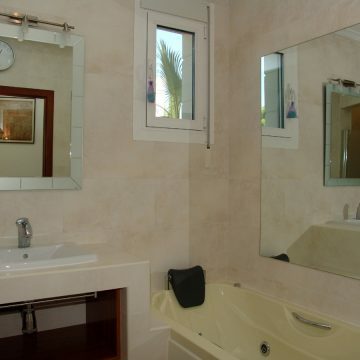 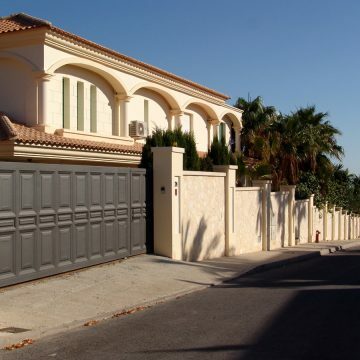 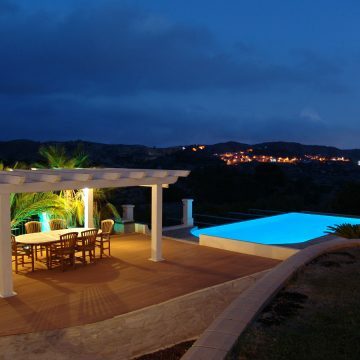 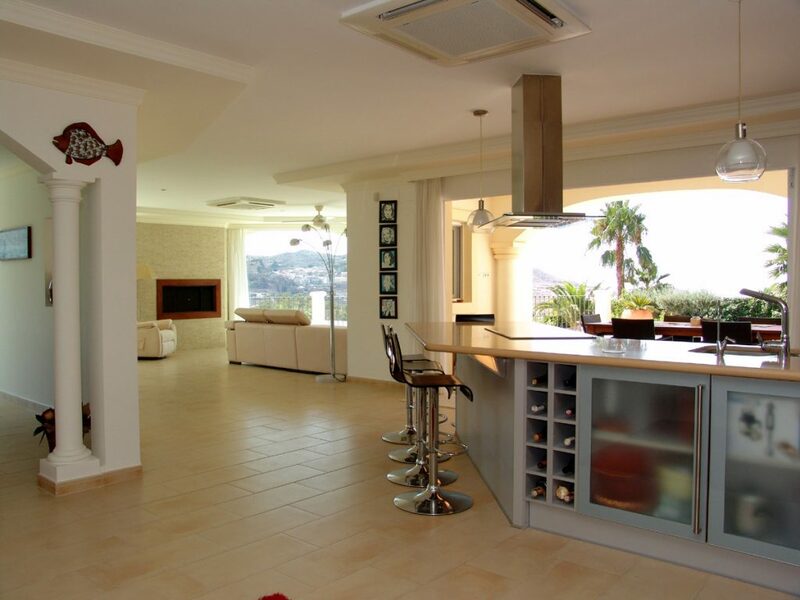 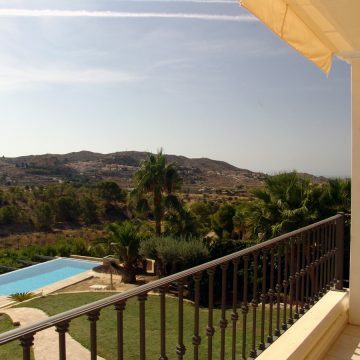 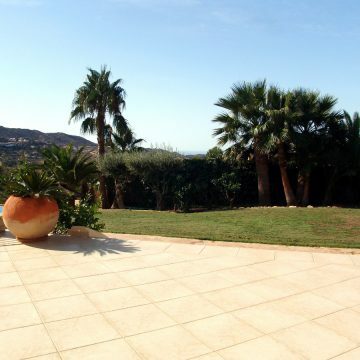 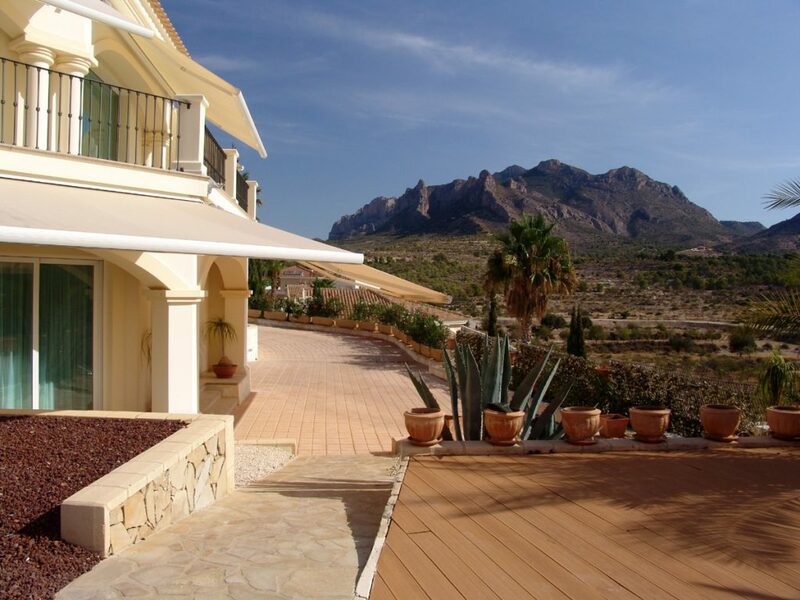 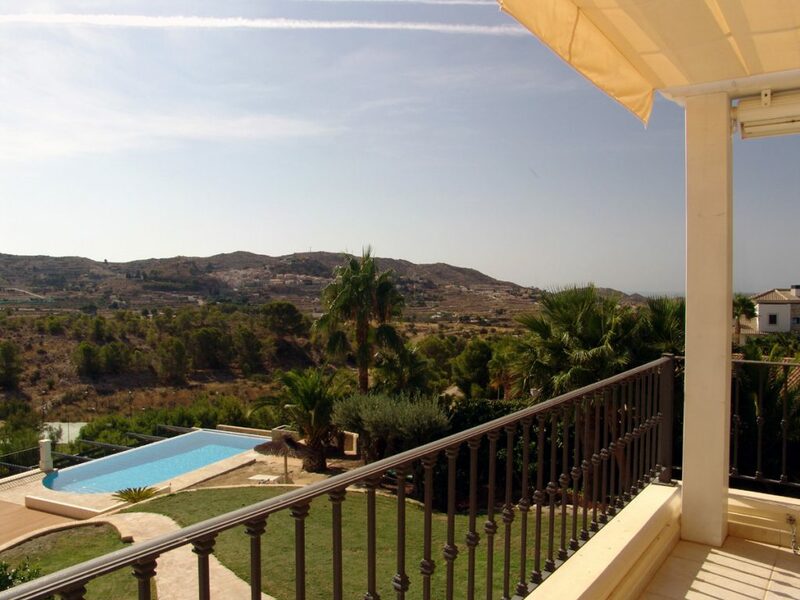 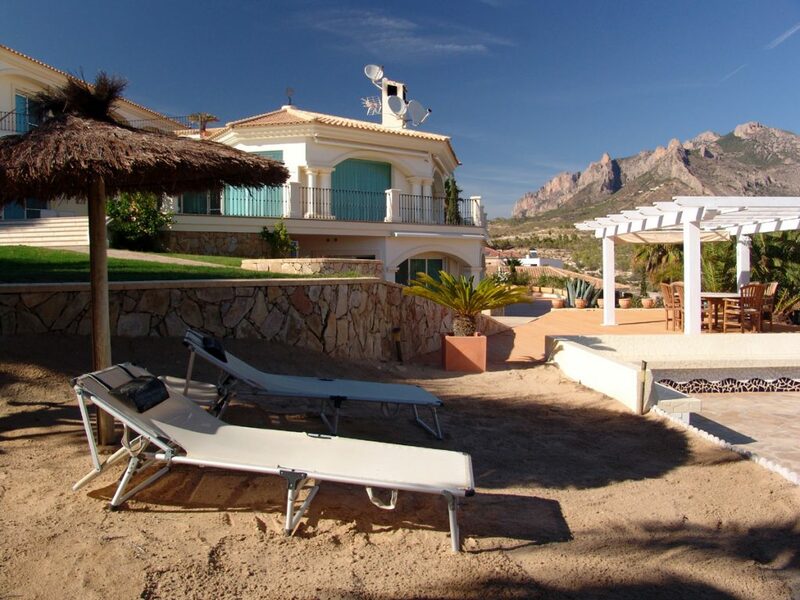 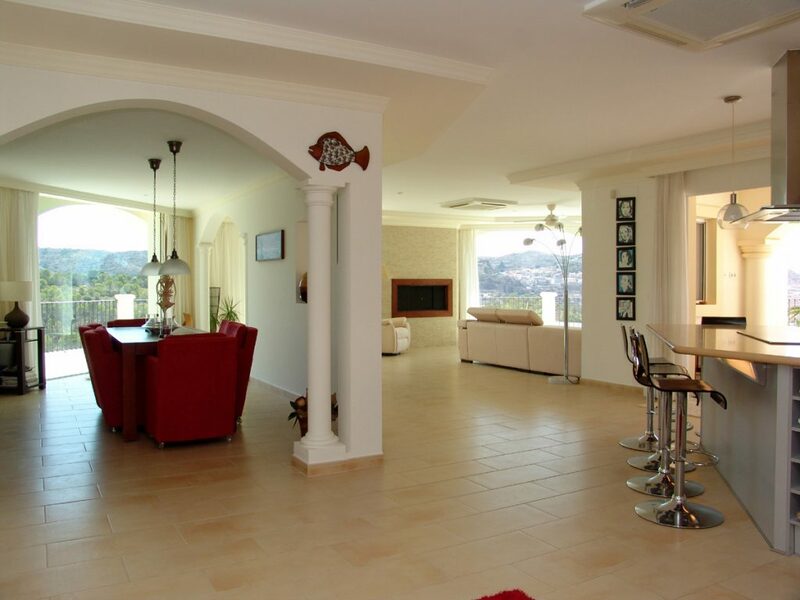 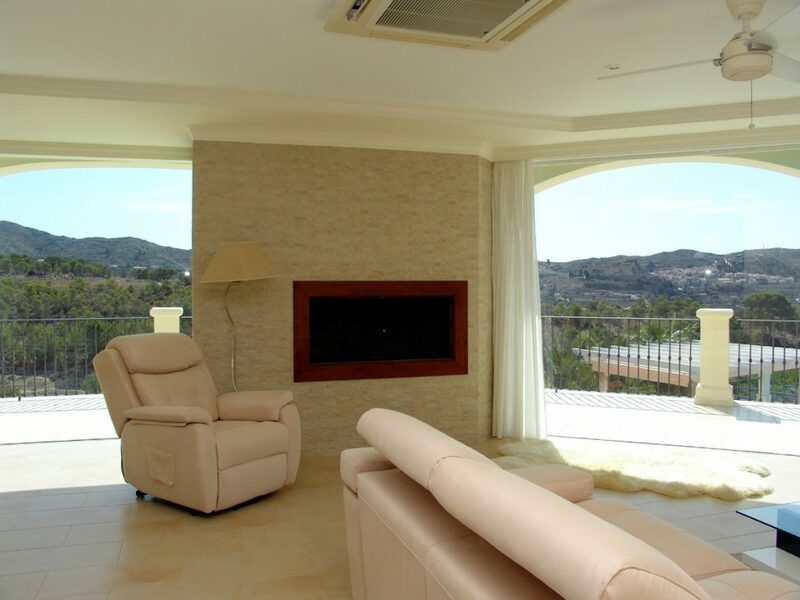 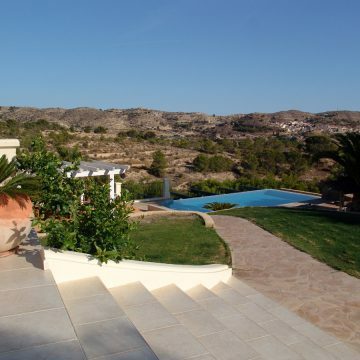 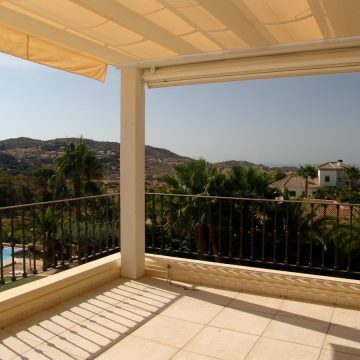 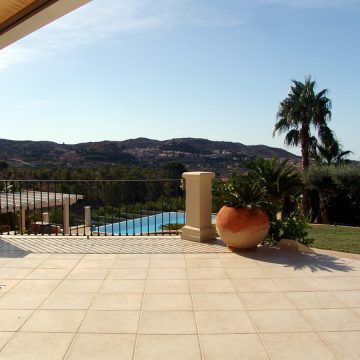 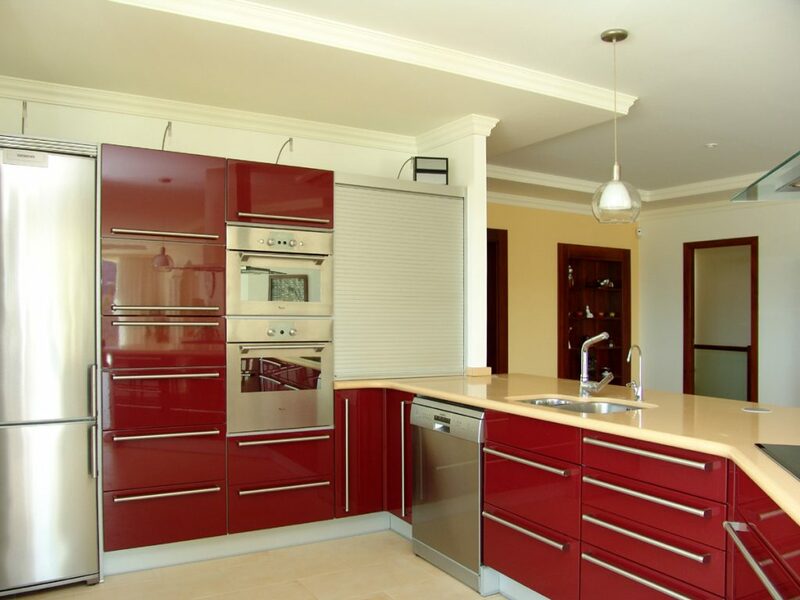 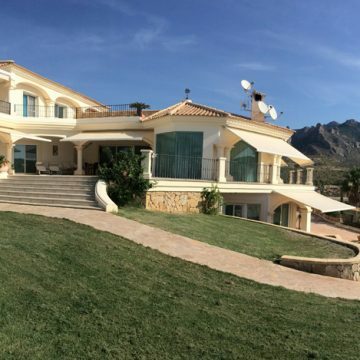 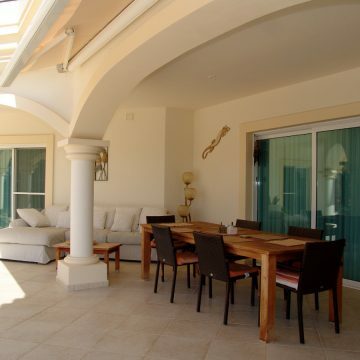 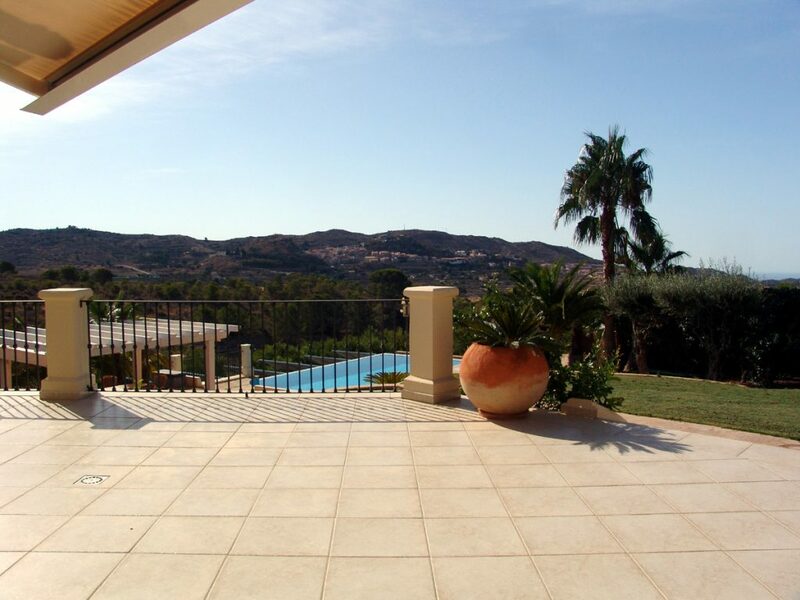 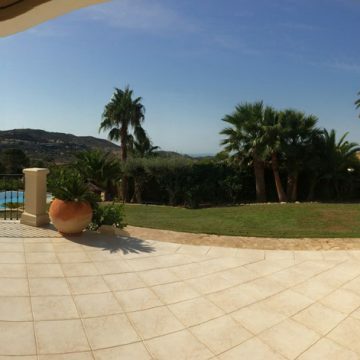 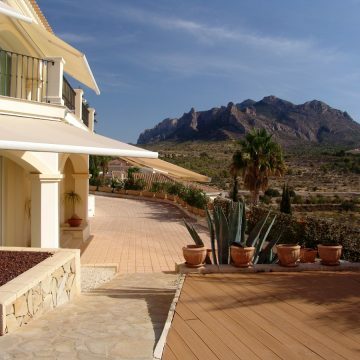 Impressive villa in Busot, situated in a quiet, peaceful location with panoramic views to the mountains and to the sea. 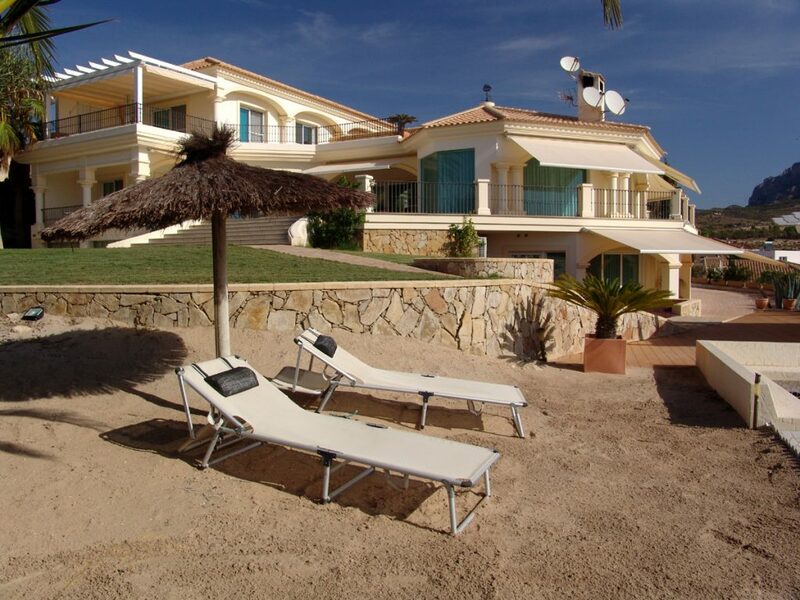 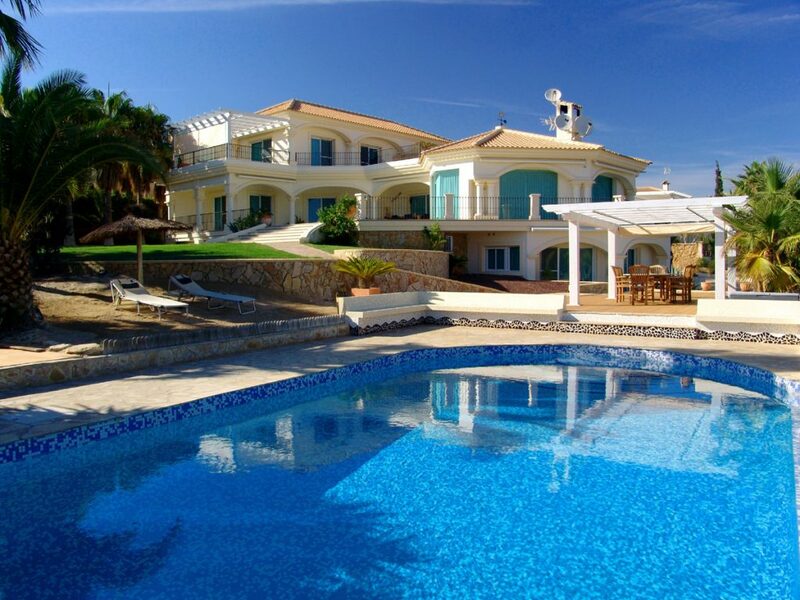 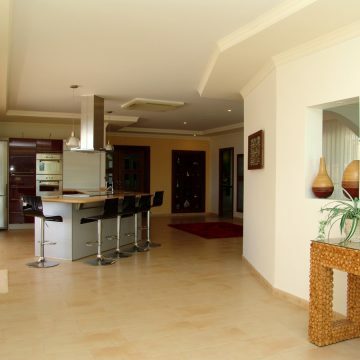 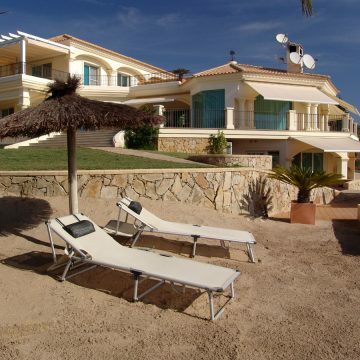 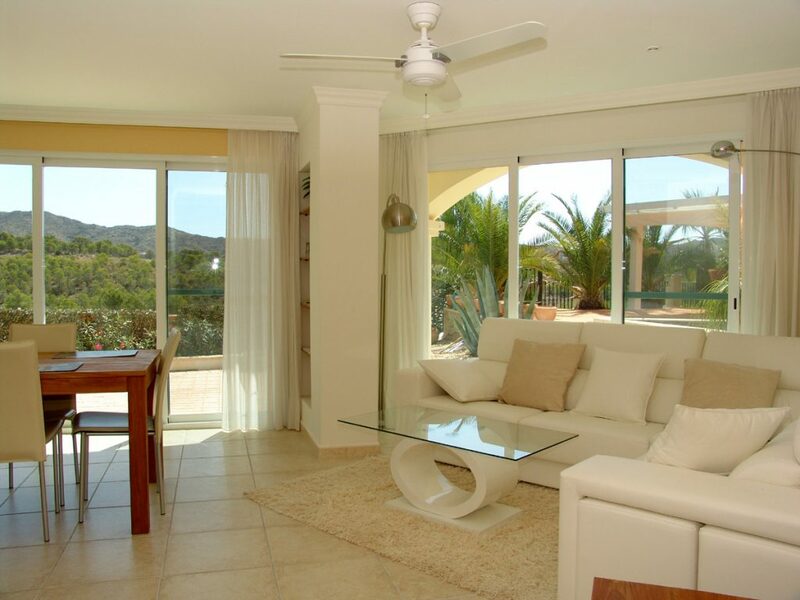 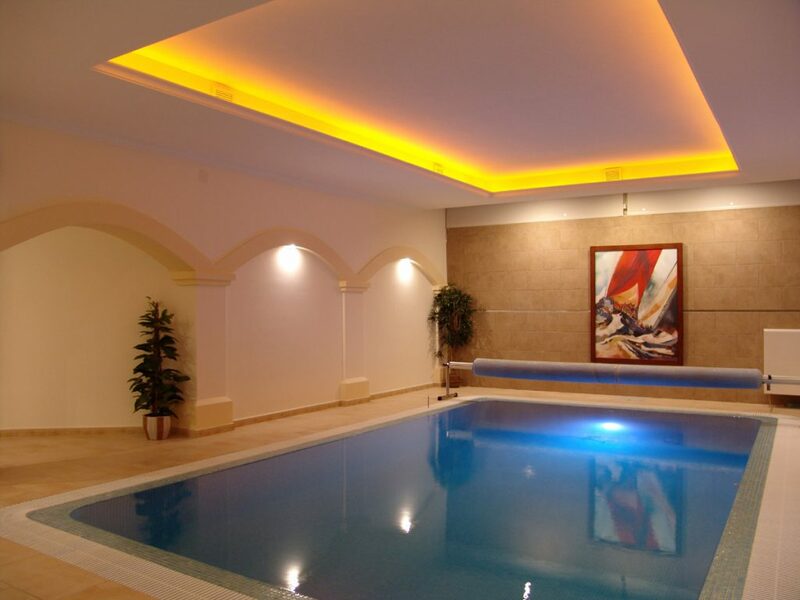 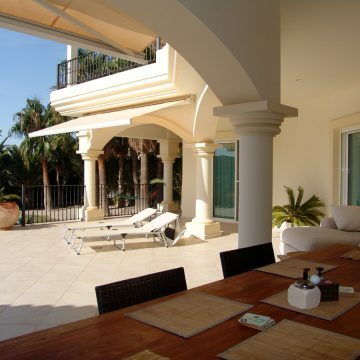 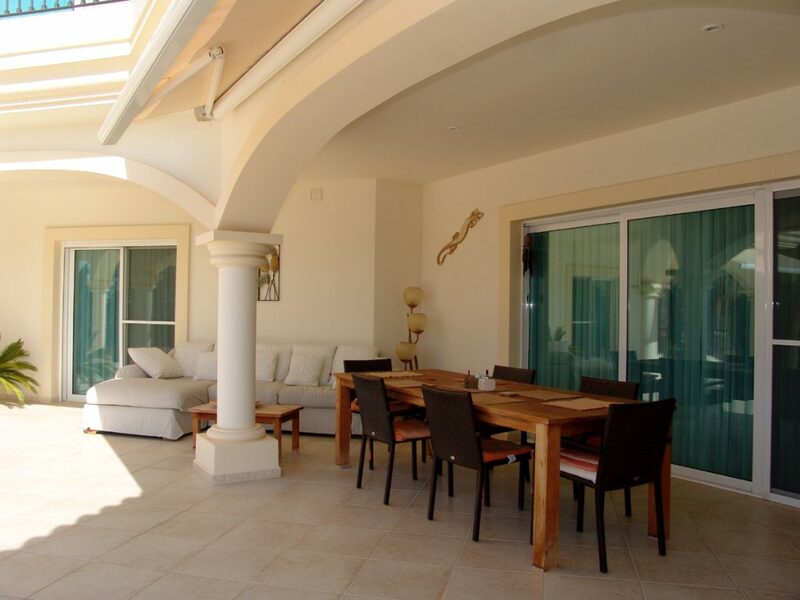 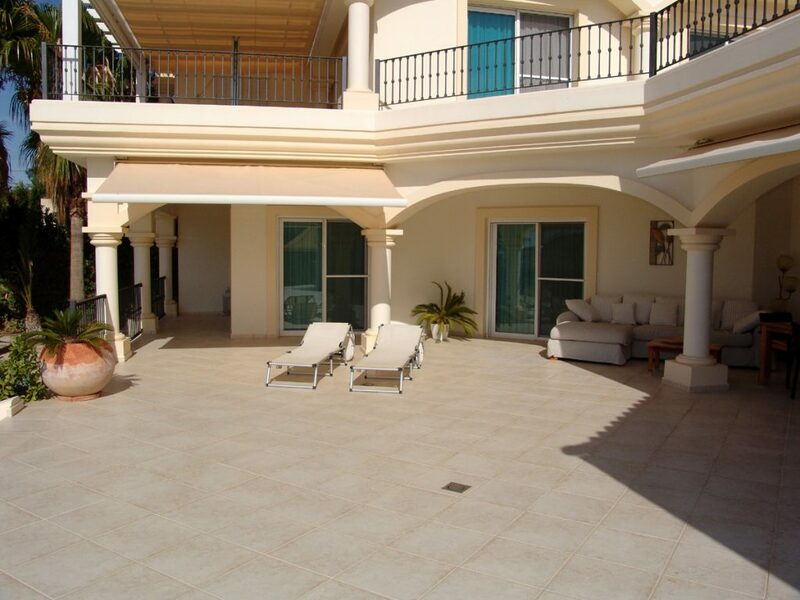 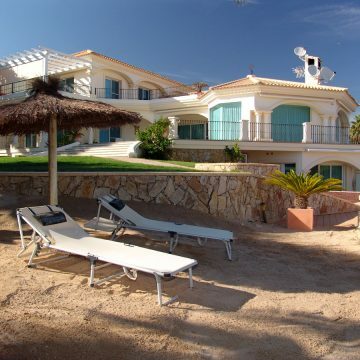 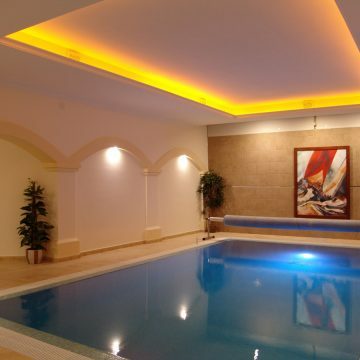 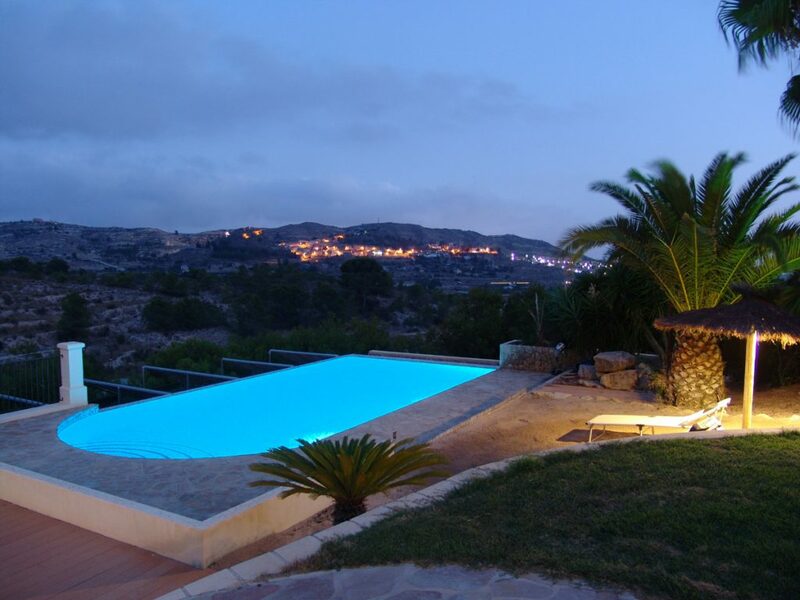 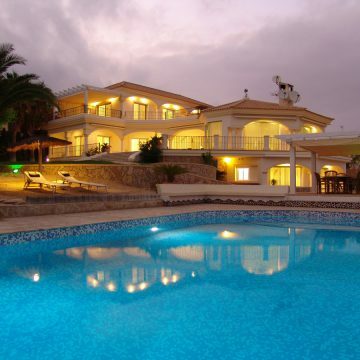 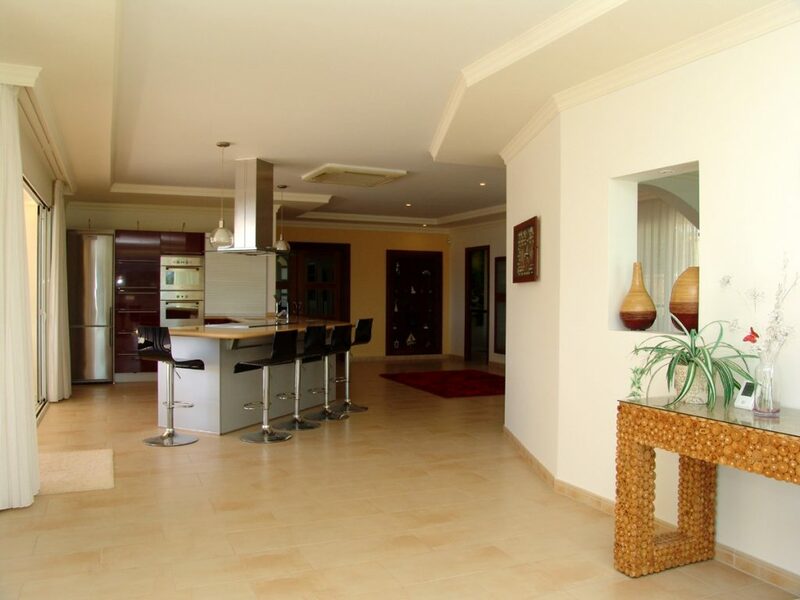 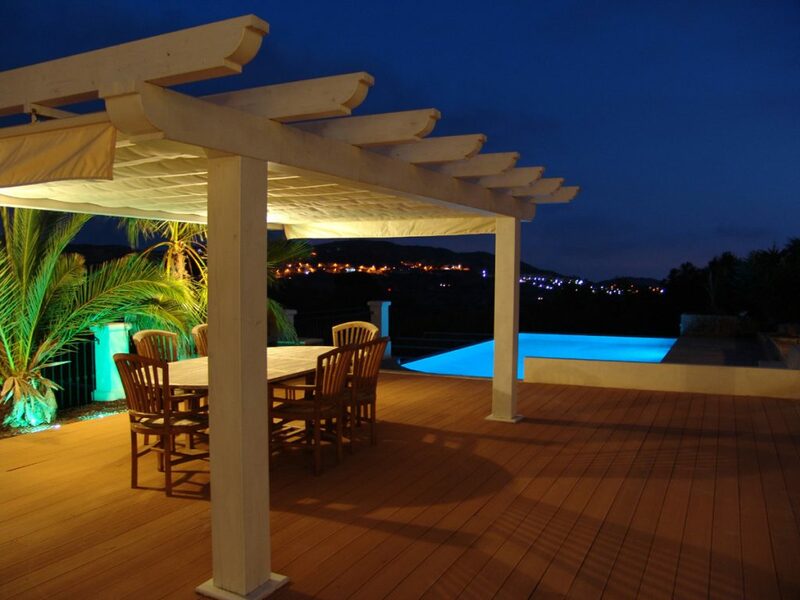 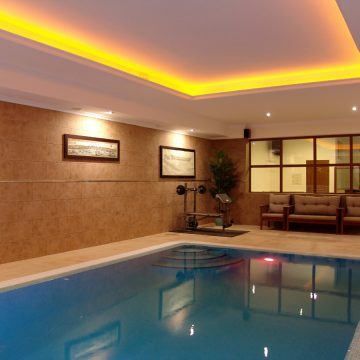 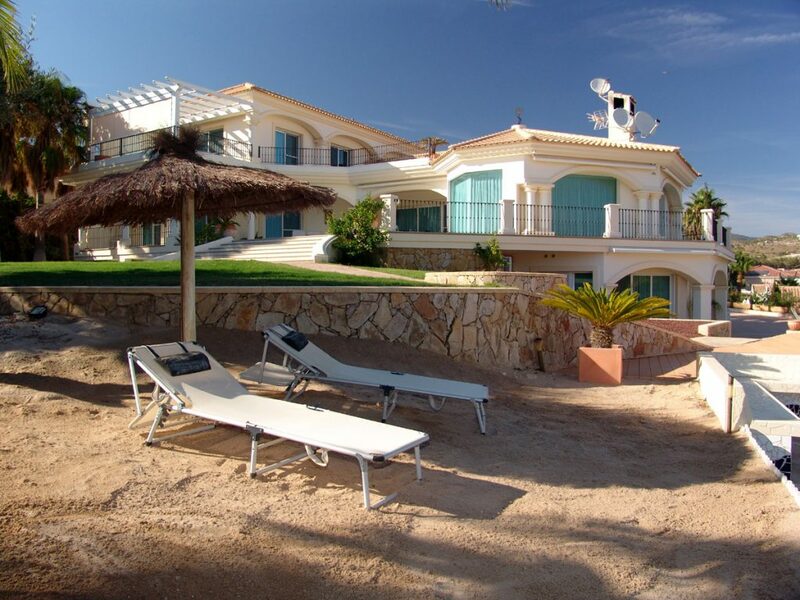 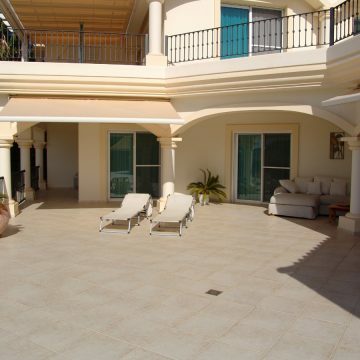 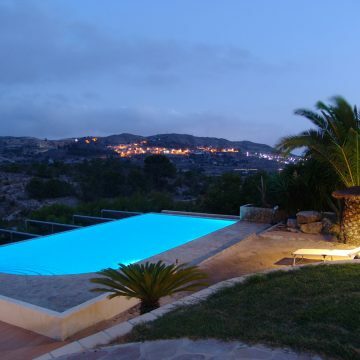 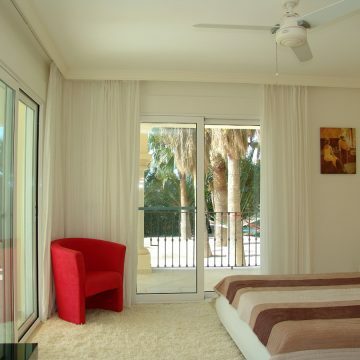 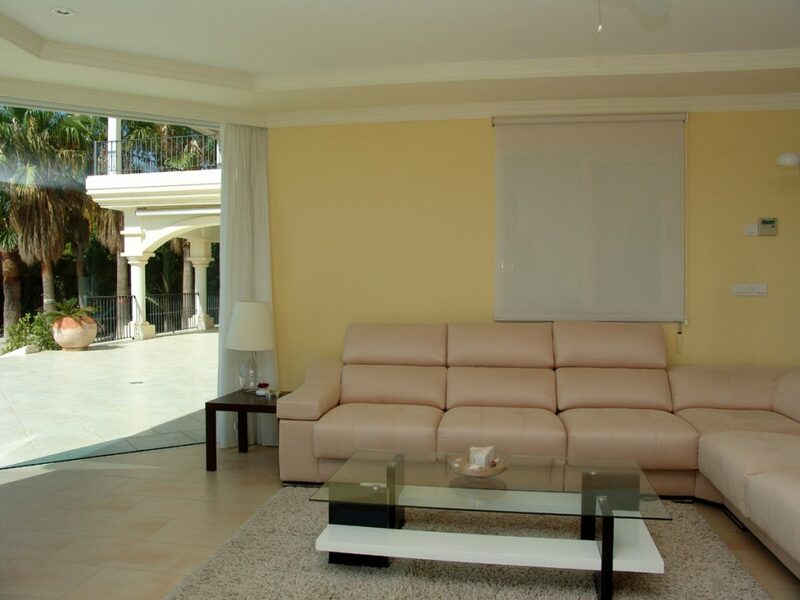 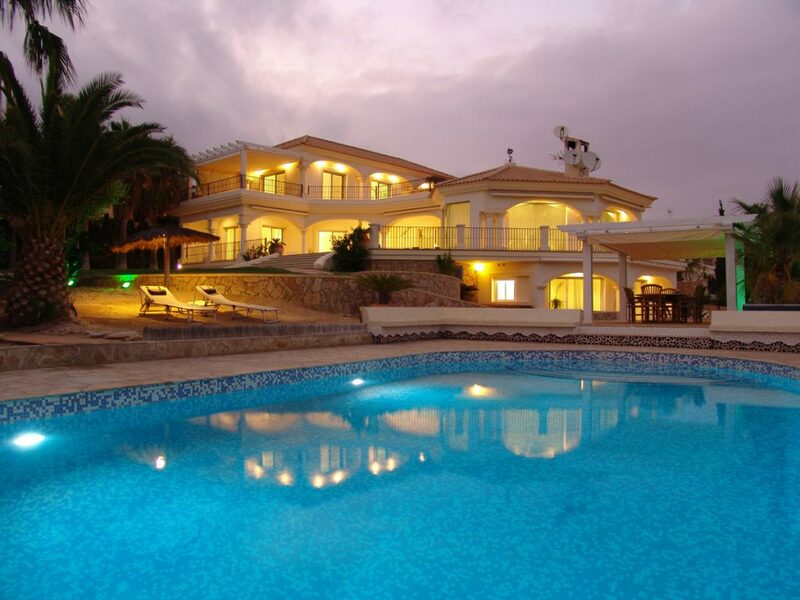 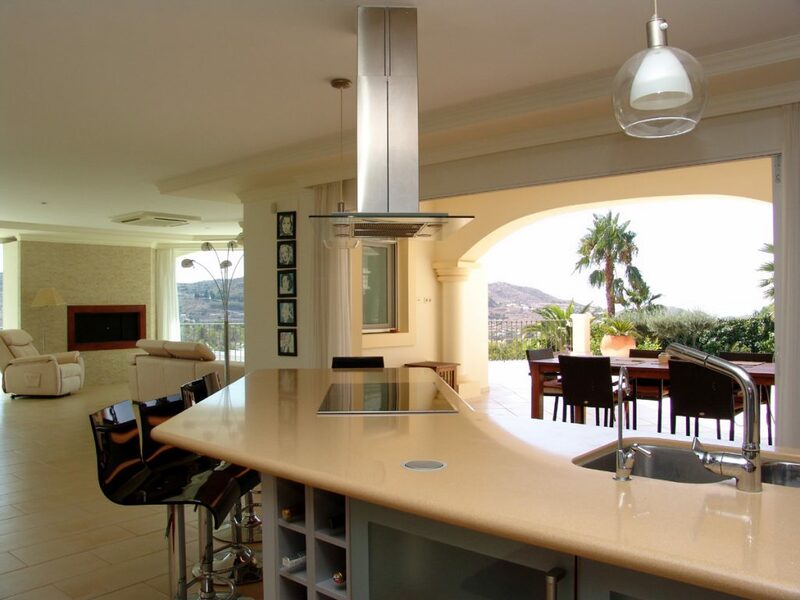 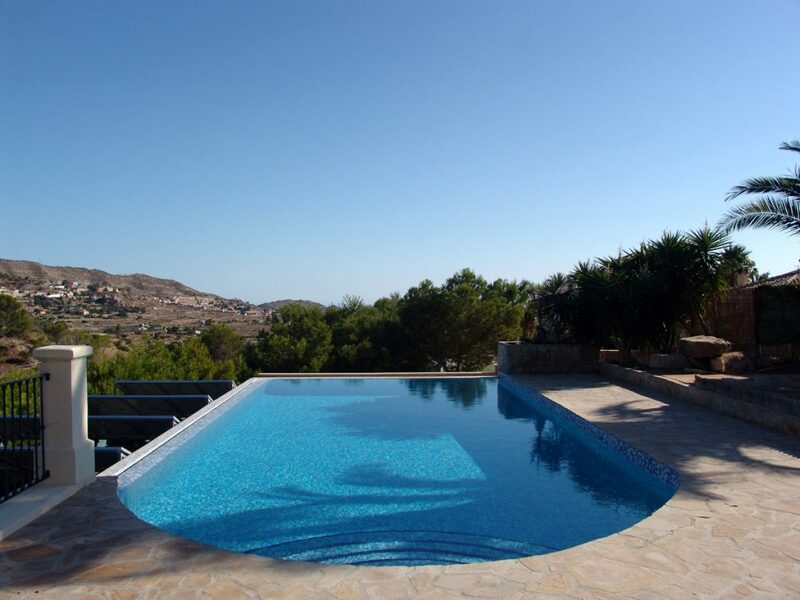 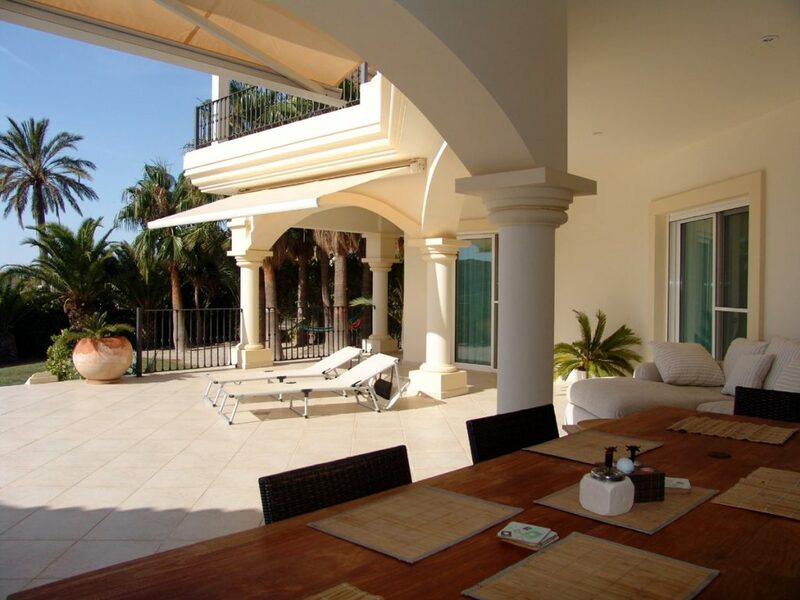 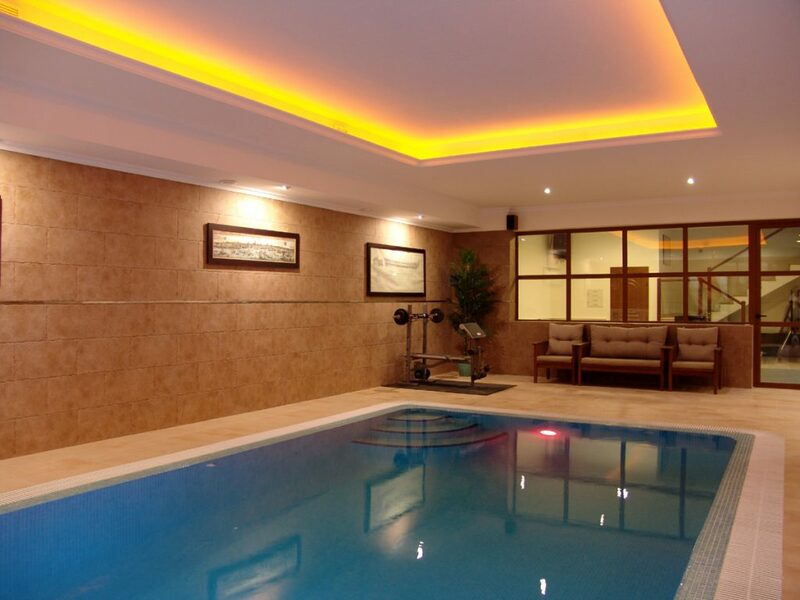 This technically sophisticated villa benefits of indoor and outdoor pool and separate apartment. 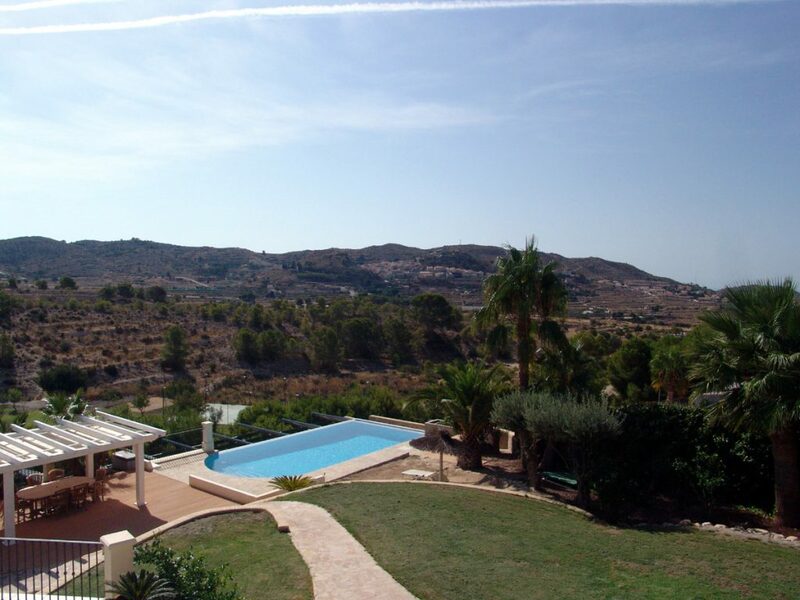 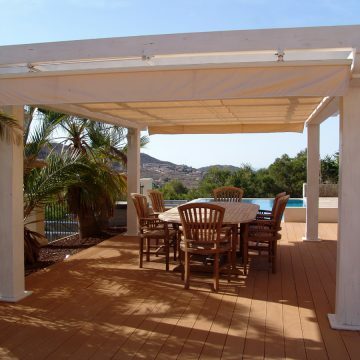 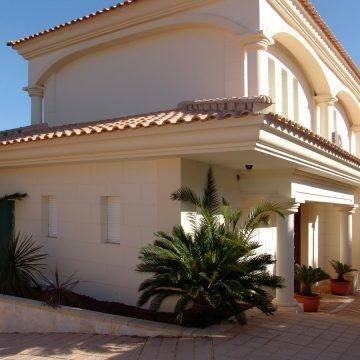 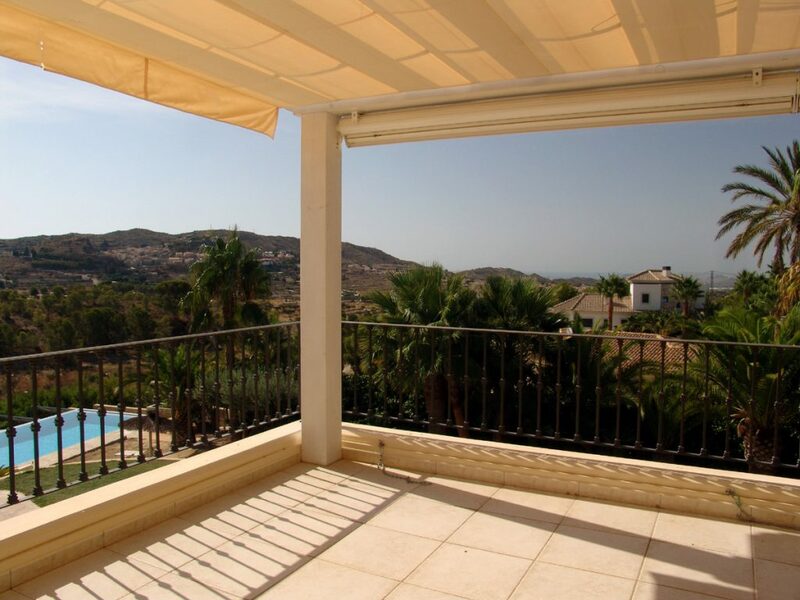 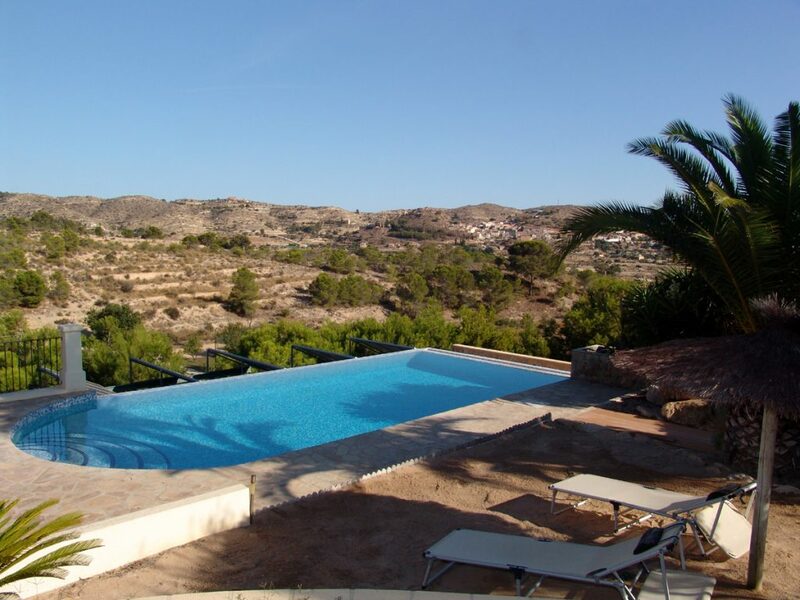 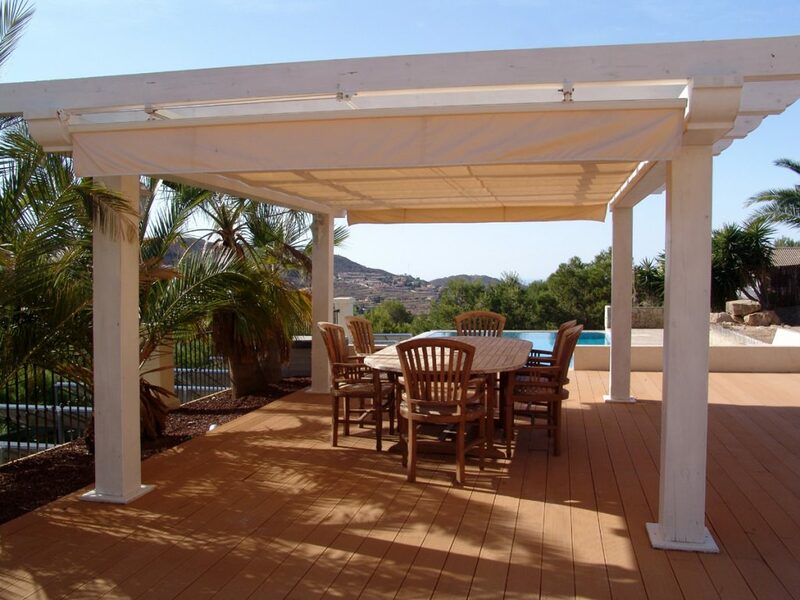 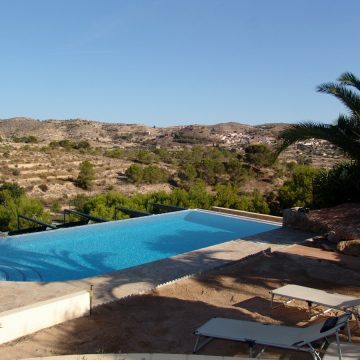 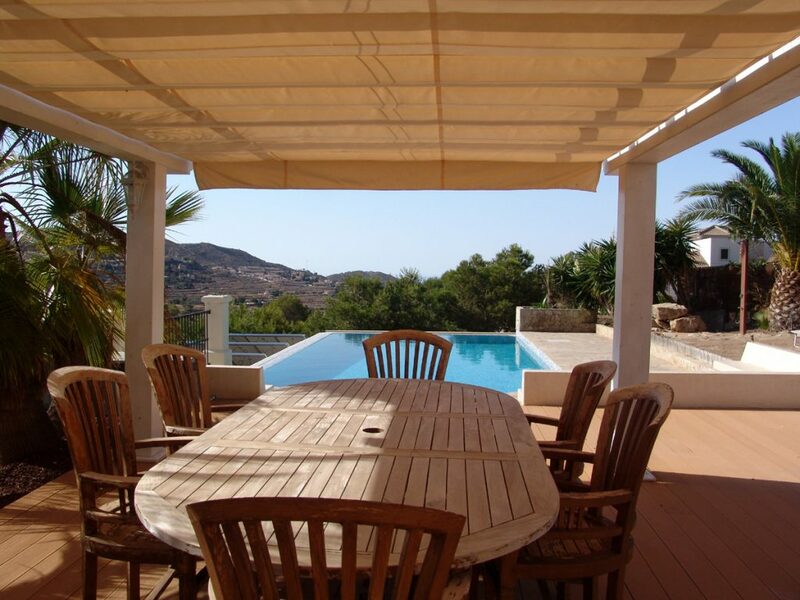 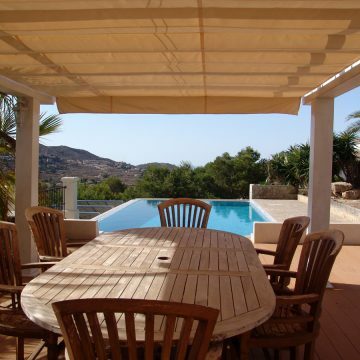 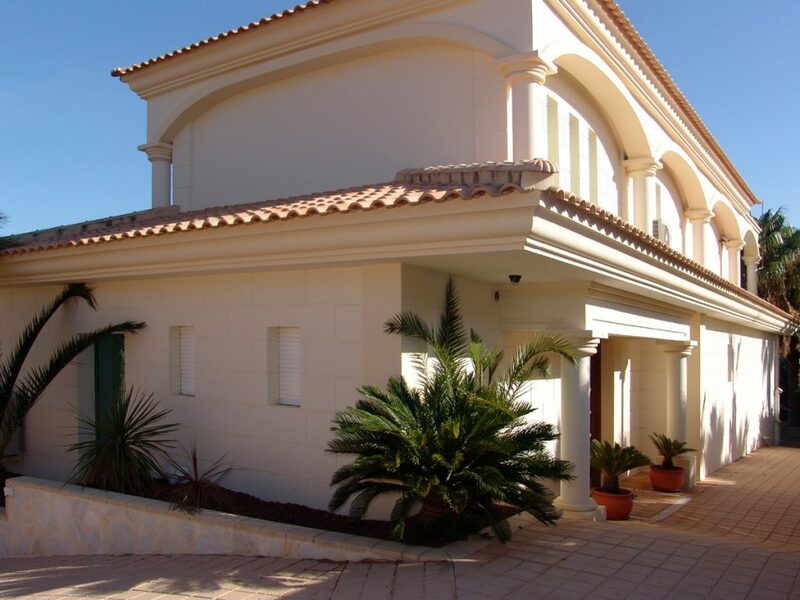 Comfortable villa with plenty of privacy and situated on a large fenced sunny plot with mature trees. 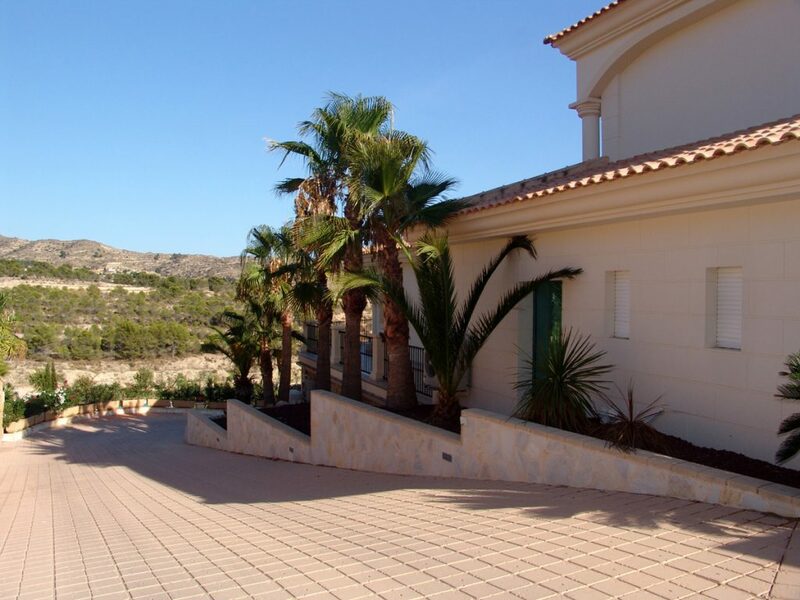 Distance to a beautiful sandy beach of El Campello: 11 km. 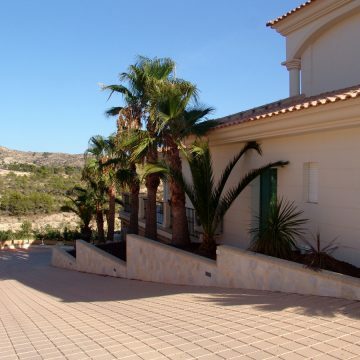 Distance to the 18 holes Golf Course of Bonalba: 9 km. 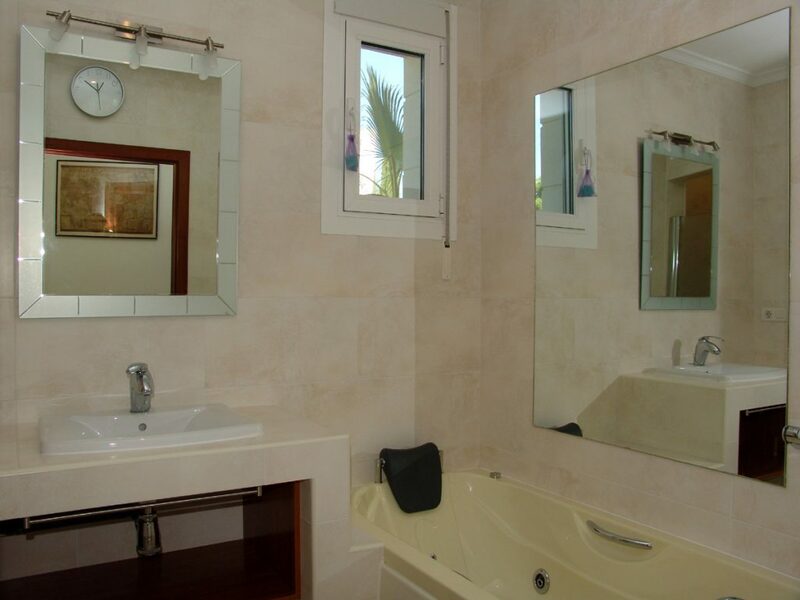 First floor: 1 bedroom with en suit bathroom, dressing room, 2 terraces. 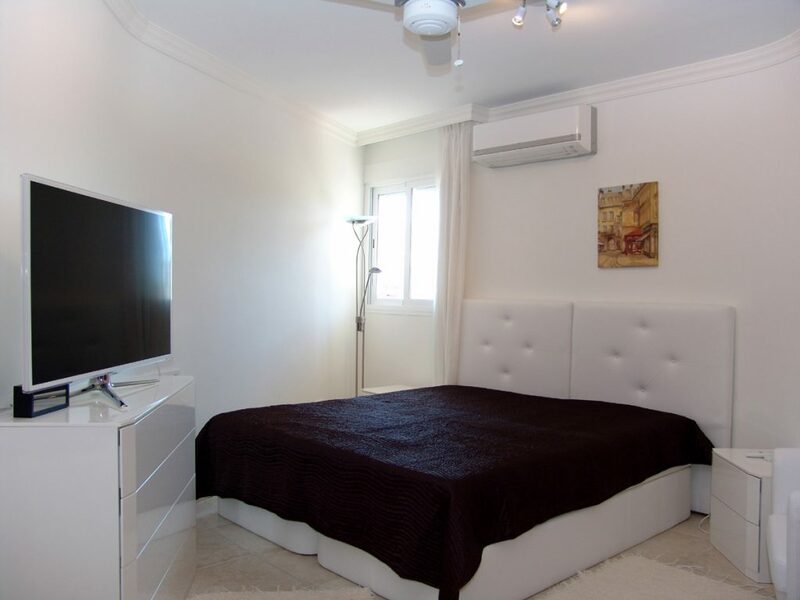 Ground floor: large living room, dining room, open kitchen, 2 bedrooms with 2 en suit bathrooms, 1 guest toilet, covered terrace, open terrace. 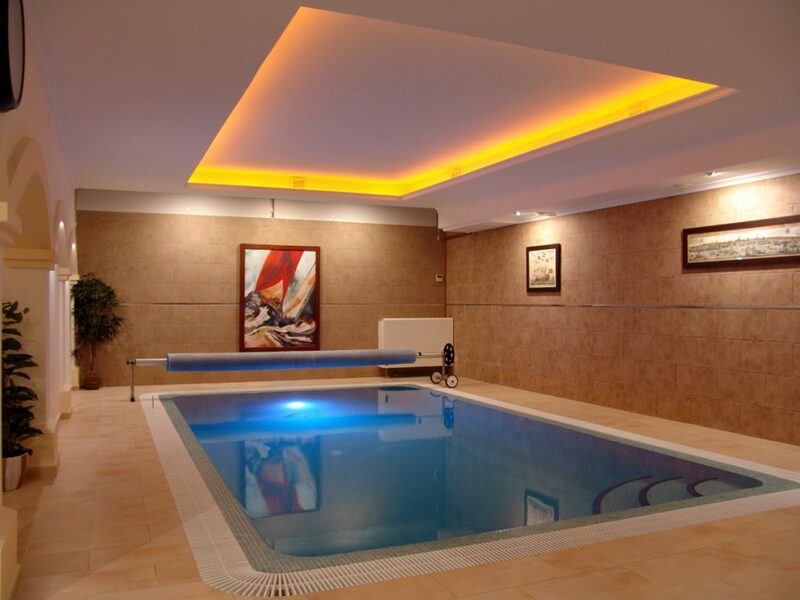 Basement: indoor swimming pool, large bathroom, infrared sauna, game room, machine room, 3 storage rooms, laundry room, garage for 3 cars. 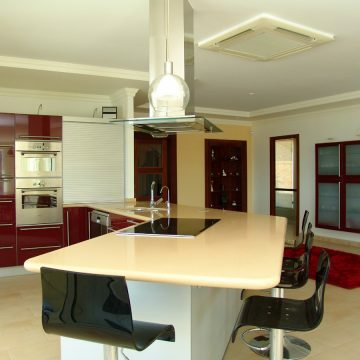 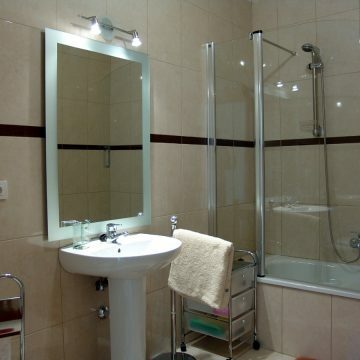 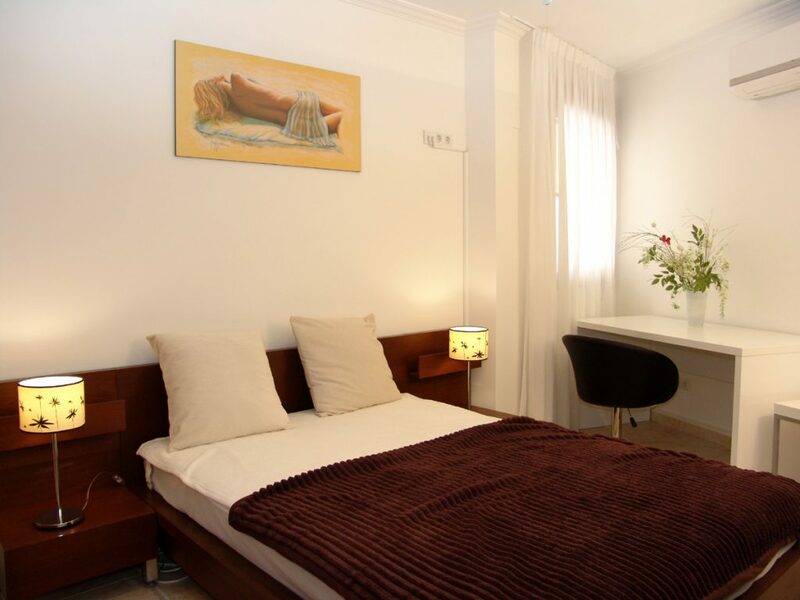 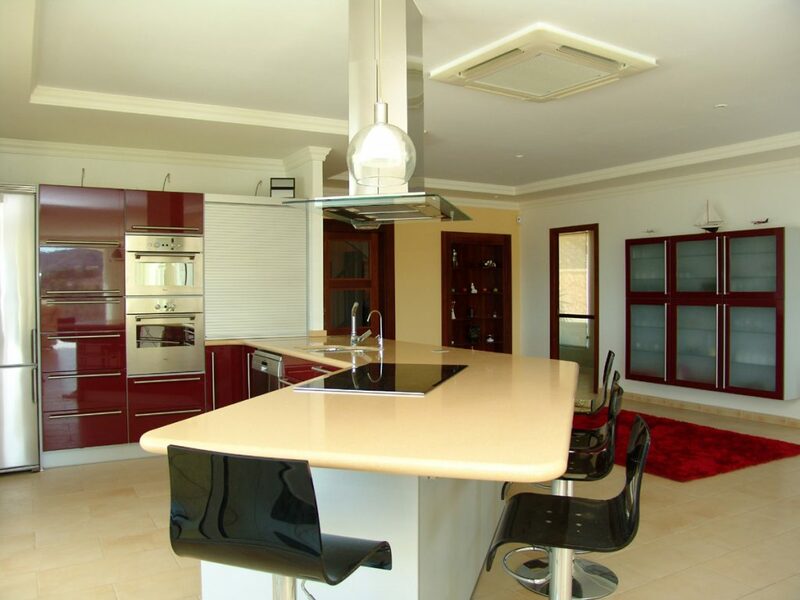 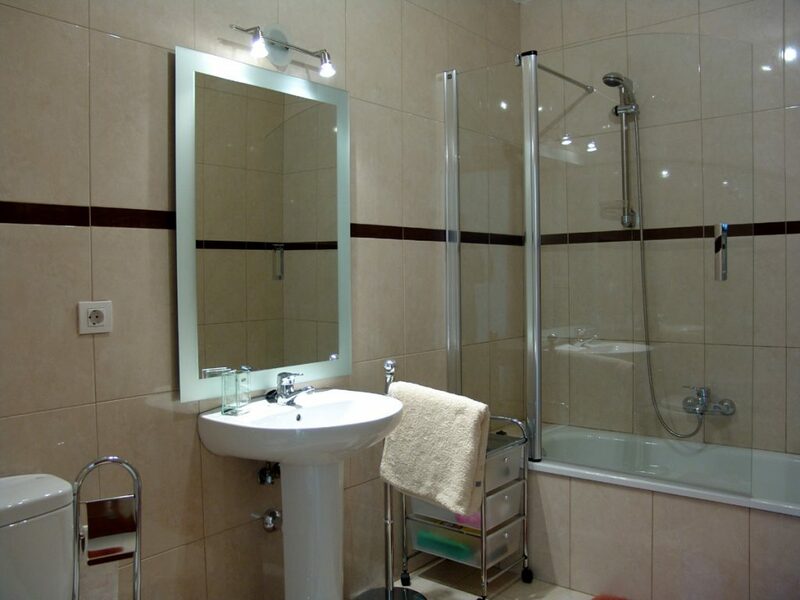 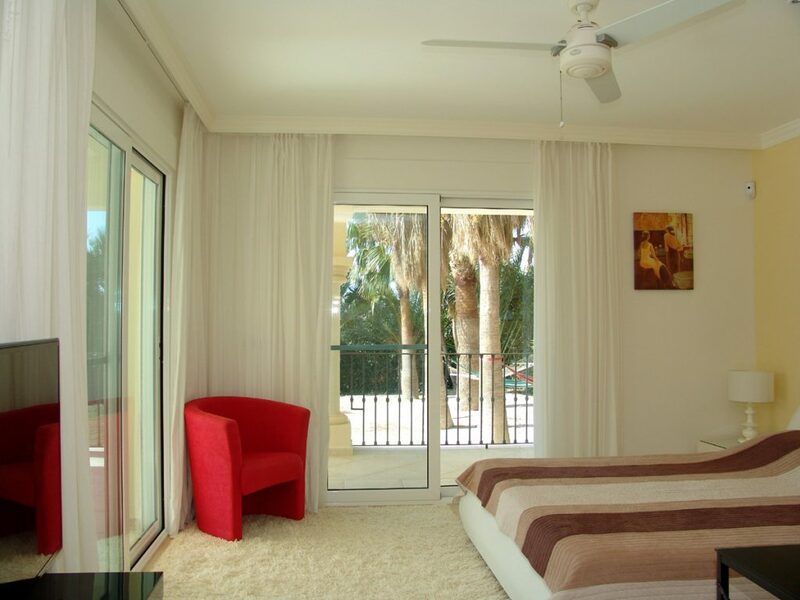 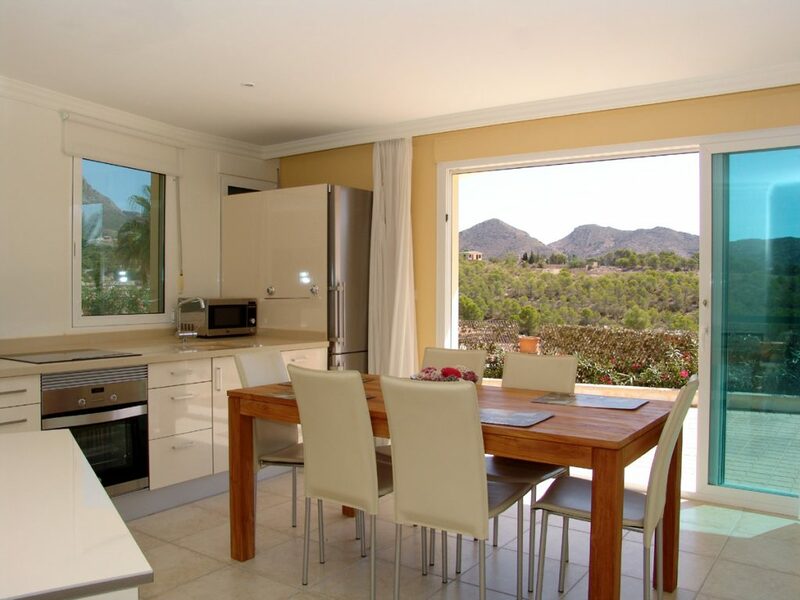 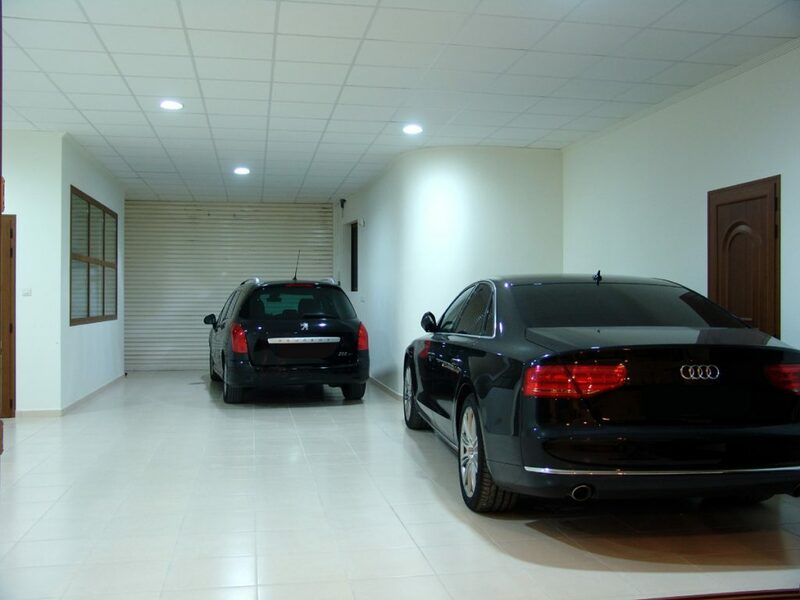 Separate apartment: living-dining room, open kitchen, 2 bedrooms with 2 en suite bathrooms. 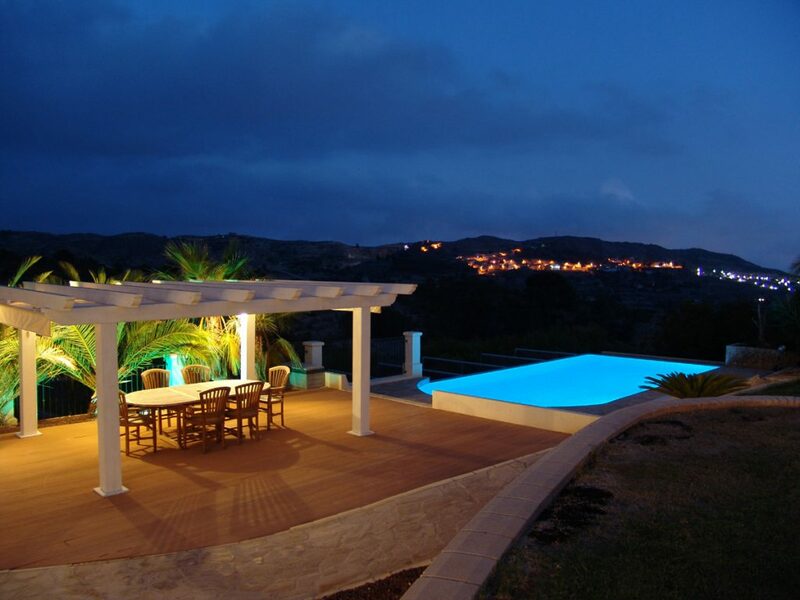 Exterior: swimming pool with salt water, shower, garden with programmable lighting, large terrace with pergola, photovoltaic panels with output of 48 kW, gas tank, rainwater tank of 70m3. 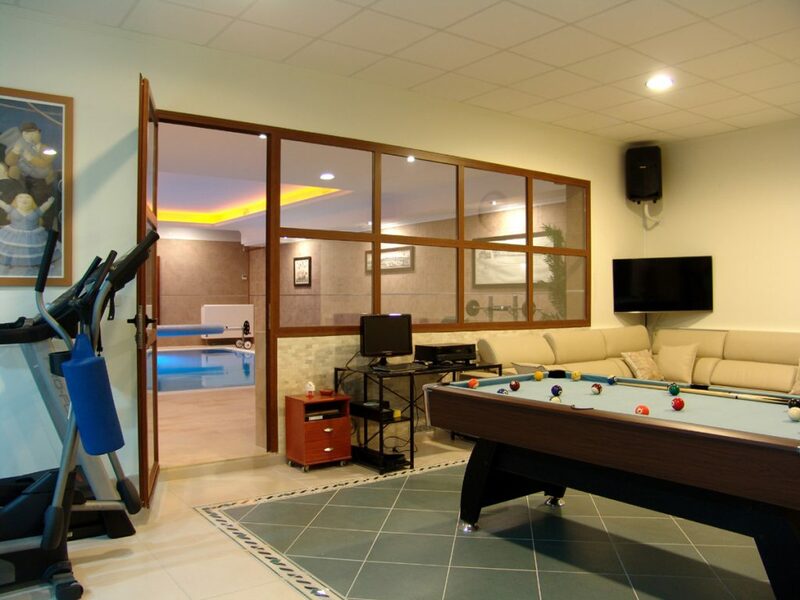 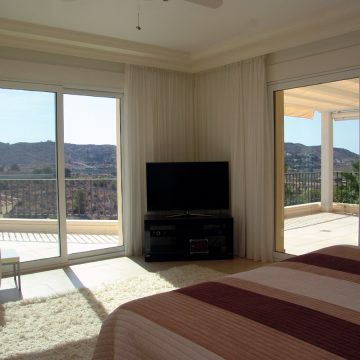 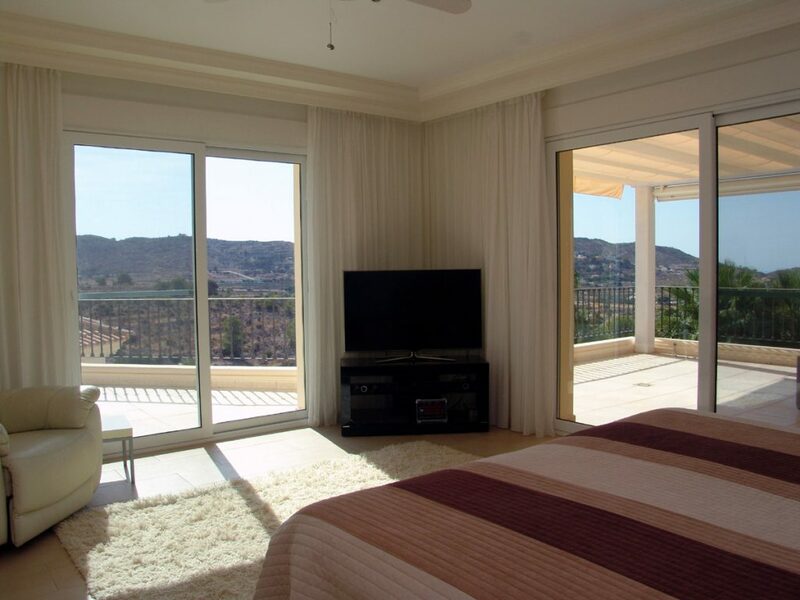 Equipment: air conditioning Mitsubishi Azul with hyper inventer in every bedroom, gas floor heating throughout the house and in the game room with radiators, satellite TV separately in every bedroom, Internet connection.